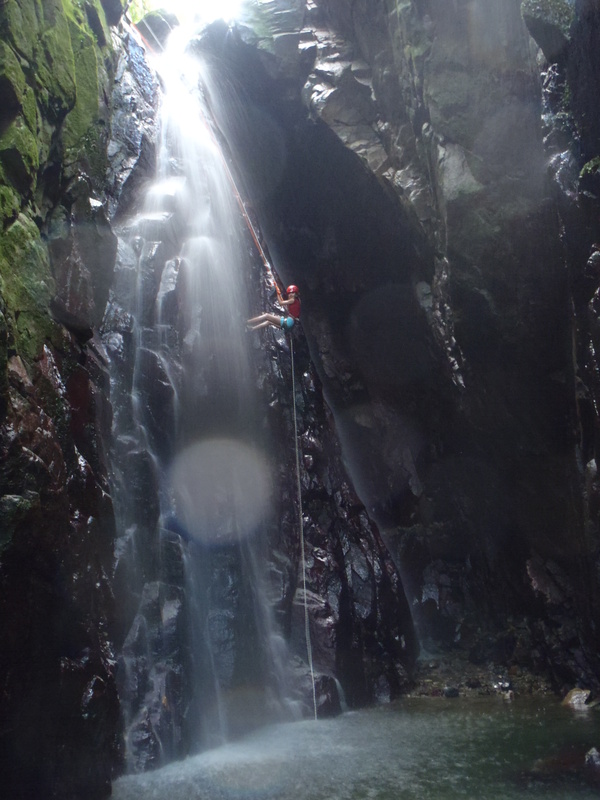 Standing at the bottom of the 80 ft. waterfall I just rappelled, I turn to look up at our 12-year-old daughter Rachel, who is about to make her descent. I know my husband Rafael is up there giving her last-minute pointers. The spray from the falls hits me in the face and chest, so I move back a bit and stand in a sunny spot to warm up. I’m in a shady canyon where it is remarkably cool for a tropical rain forest. I see Rachel as she leans her body out, her feet firmly planted on the slippery rock. She slowly lets the rope out and inches her feet down the rock face, picking up speed as she goes. I lose sight of her as she goes behind an outcropping of rocks, when suddenly she is here. 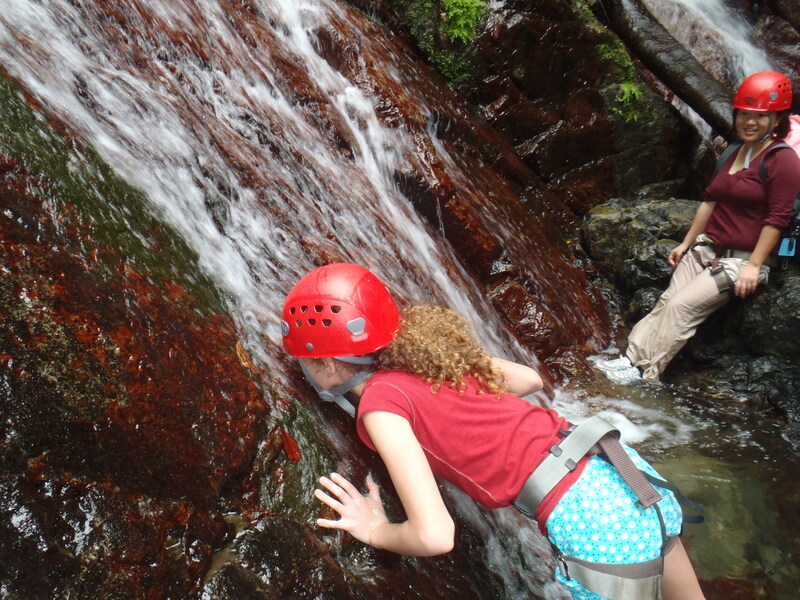 “Great job, Rachel,” I yell, over the roar of the waterfall. In seconds she is down, standing in the water next to me. “That was awesome,” she says. I have to agree. 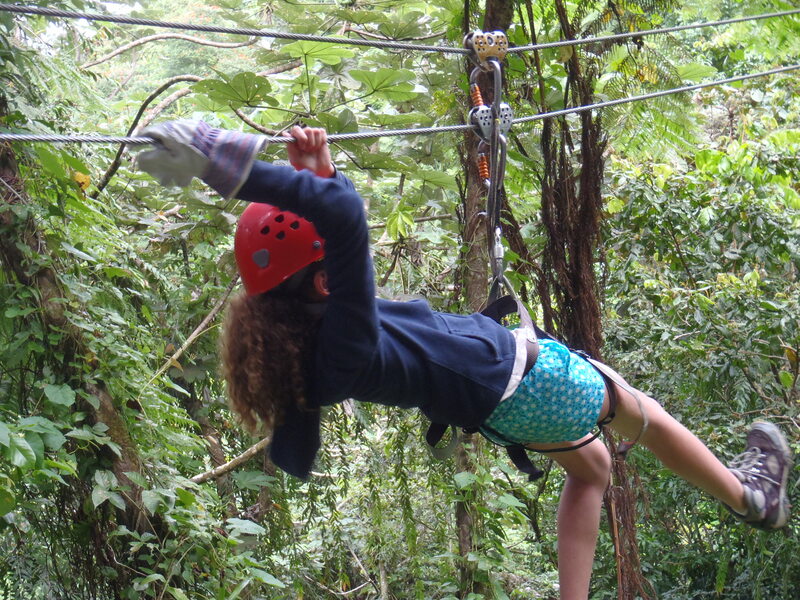 We are in the San Salvador rain forest of Puerto Rico on a hiking, rappelling and zip lining adventure, and we are having a blast. Rafael’s family lives in Puerto Rico, so we come here a lot. We are always trying something different. The great thing about Puerto Rico is that there are so many things to try! 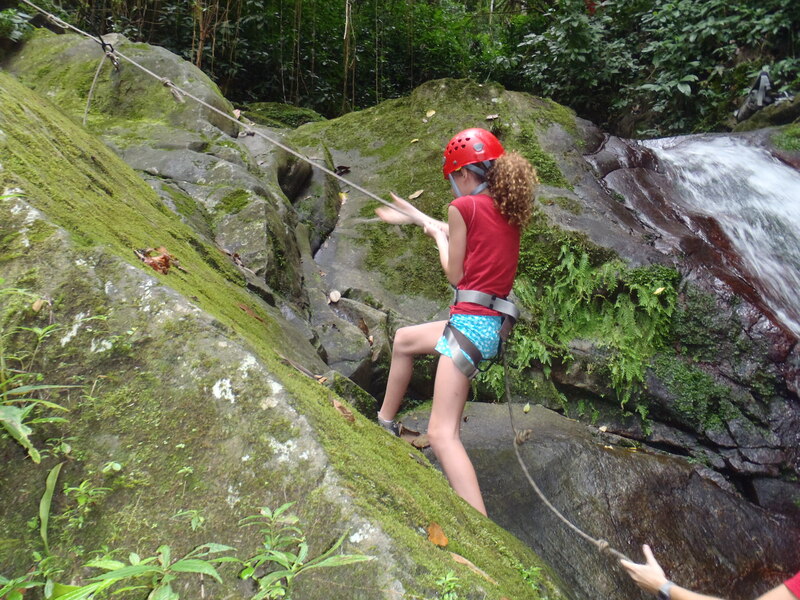 Today we are hiking and scrambling up river rocks in the beautiful and secluded mountains of Caguas, former home of the Taino Indians. River hiking is so much fun; we don’t worry about overheating! 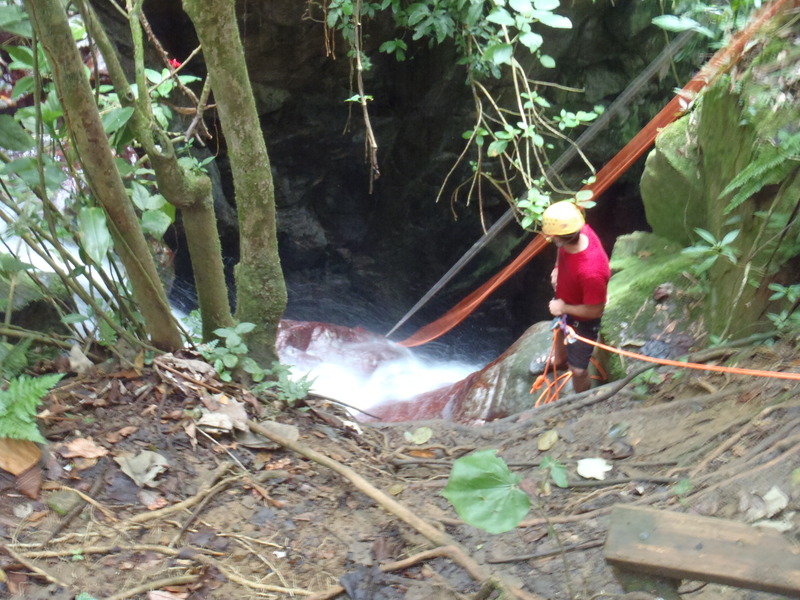 Sometimes we have to use ropes to pull ourselves up steep rocks. Other times we rely on our rock climbing skills. We hike through water up to our knees, then switch to dry land for a while. When we climb to another beautiful area, we are rewarded with a break. 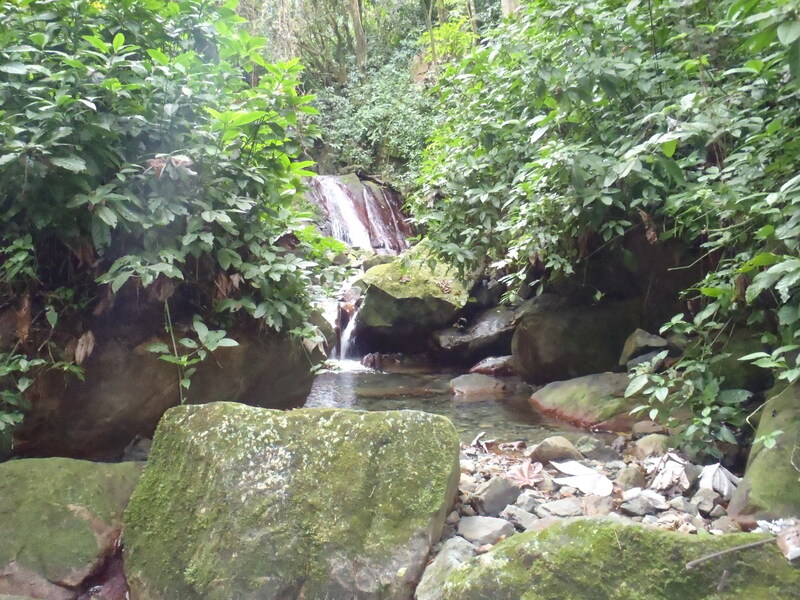 There are small waterfalls surrounding us as the people in our group take seats on rocks, enjoy a snack and snap pictures. Everyone is in a great mood, just enjoying the scenery. After we do the big rappel, we are on the downhill part of our journey. This goes much faster because we get to do it by zip line! Five of them, one 400 feet long. It’s fun, especially as you pick up lots of speed! Poor Rachel doesn’t weigh enough to make hers go fast – she actually has to pull herself to the end on one of them. This is where a little weight is a good thing! Once we reach the bottom again, we change out of our wet clothes and enjoy a traditional Puerto Rican meal prepared by the family who owns the land we are enjoying. It’s late for lunch and we have worked up an appetite. We all gather around and devour the delicious fish, rice and beans. This is a great way to end a fantastic adventure! On a scale of 1 to 5, with 5 being the most challenging. 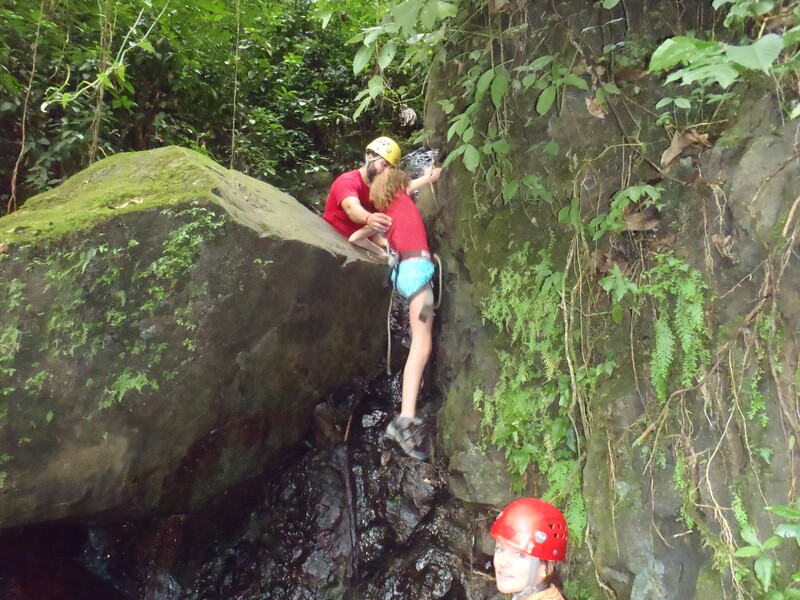 Courage Level: 3 – We rock climb so rappelling is not scary for us, but judging by the other people in the group, it takes a lot of courage to go over the edge of that waterfall! Everyone was very encouraging, though, so people could take their time. It’s all about trusting the equipment. That’s really why we don’t get nervous, even Rachel. We have experience with climbing equipment and trust it won’t break. Fitness Level: 3 – You need to be in reasonably good shape to do this tour. You don’t need to be a super athlete, but you will be belaying up rocks, hiking in rivers and basically moving uphill at a steady pace for a couple hours. Wear a bathing suit and light, quick drying clothes. Do not wear jeans or cotton pants; they will just weigh you down when they get wet. Wear shorts (or capris) that are long enough that the climbing harness will be on the clothing, not your skin, because you will be wearing it for most of the day. 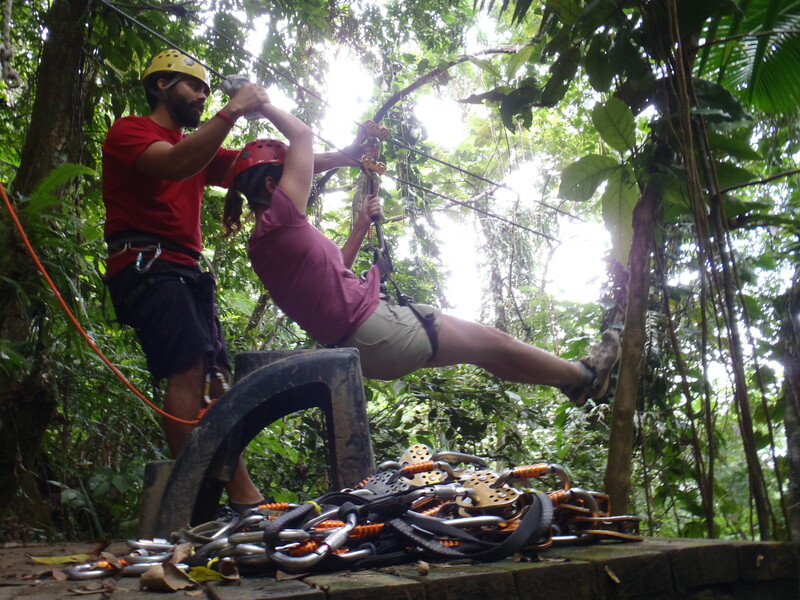 You might want a long sleeved shirt for after your rappel. It’s shady in the canyon and being cold is not fun. Wear lace-up sneakers, light-weight hiking shoes or water shoes. They need to be sturdy enough that you won’t be turning your ankles as you traverse the river rocks. We have light–weight travel hiking boots, and we set them out in the sun the next day and they dried. You might not want to plan this adventure for the day before you get on a plane or you will have very wet shoes to take home! 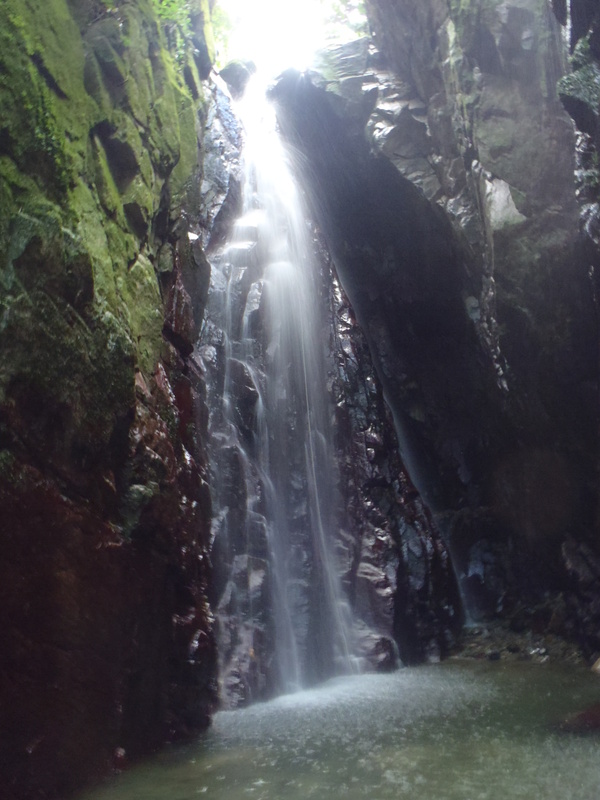 This was a perfect adventure for our Olympus Stylus Tough shockproof and waterproof camera. I carried it down the waterfall with it around my wrist, banging against the rocks the whole way. Then I stood in the water taking pictures. It was great because I never worried about it. I actually carried it like that all day, so I would have it handy when I wanted to take a photo. If you have a camera like that, take it with you! We used Eco-Quest for our tour guide. They were great. Our guides were knowledgeable, friendly and concerned with safety. I liked that they worked with locals in terms of providing lunch for us. 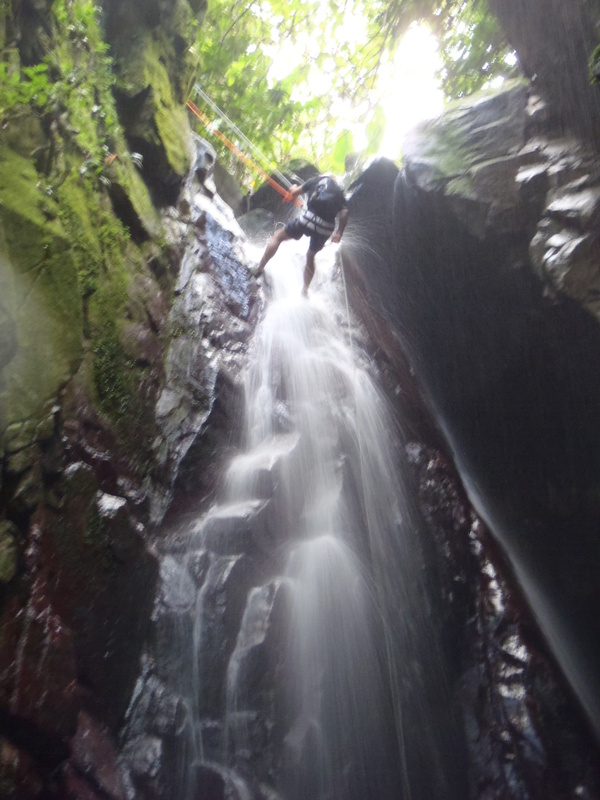 I think I have almost the exact same picture of my wife repelling down that 80ft waterfall. Awesome! It was a great experience, wasn’t it?